I provided a leadership session today on change management in educational settings to some exemplary members of Avon Maitland Board in Ontario. 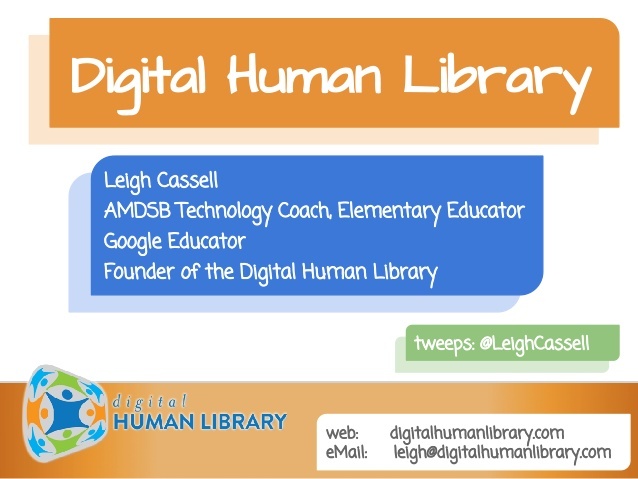 One of those members, Leigh Cassell, has become a very good friend of mine and her work on the Digital Human Library is, in fact, epic. The word “epic” is frequently abused in conversation or celebration of just about anything these days. If you look up “epic”, the meaning provided is “narrating the deeds and adventures of heroic or legendary figures or the history of a nation.” What Leigh has done brings people from around the world into connected classrooms to enrich learning experiences on multiple levels. I’ve never seen anything like it and she’s building something that is global in nature and is becoming legendary. That’s epic. She’s part of a team of learning coaches working to transform practice. In terms of managing change, her request was for me to provide a broad overview of how to consider supporting change in educational environments. That’s my work these days, and I’ve had some extremely successful ventures. My research and experience led me to create the following as an outline for today’s session. There’s lots to this workshop – so much that I was concerned I had provided a Tsunami without a towel. Once I provided this broad overview, the next natural fit was an extended conversation between the participants. My intent was for them to look at change through multiple facets with a single focus. I’m pretty sure I was successful… the feedback was exemplary. For my readers, two very big take away items… get and read two books: Influencer: (http://vitalsmarts.com) and Lencioni’s 5 Dysfunctions of a team. You need these tools. Seriously… go get them. The other tidbit I share is that participants in change go through 4 stages: Awareness, Understanding, Commitment and Belief. This isn’t new stuff. There are multiple versions in change management theory texts. What is important is that these stages are not static steps that organizations go through en masse. At any given time, impacted populations fill all of these stages simultaneously, and despite our efforts, all 4 stages will exist and need support at any given moment during the change process. Iteration has to be built into process if you have any hopes of success. Ok – what I’ve shared is a view from the Stratosphere. There’s more to it at the ground level and a whole lot of it is best learned through experiential practise with facilitation. Of course, that’s where I come in… I have a team now and you should see the powerful work we’re doing across Canada. If you’re involved in a project that requires cultural shifts at an organizational level in the K-12 Education Space, contact my team – we really can help you.